Summit Cladding is a family run business with over 30 years of experience in roofline, guttering, and cladding solutions. We have been operating since 1988, and have a reputation built on excellence, dedication and customer focus. Our owner is Stephen Gelb, who is assisted by a team of 9 experienced fitters. Stephen will always attend your first visit and will carry out a free survey of your property and discuss your specific requirements. Stephen’s friendly and skilled fitters will ensure that every job is executed with the utmost care and attention to detail. We have a showroom at Springtime Nurseries in Cattlegate Road, Crews Hill where you will be able to see examples of products available. 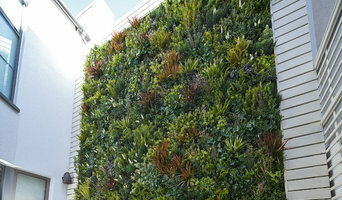 Vistagreen artificial green walls are a perfect alternative to living green walls. Suitable for any interior or exterior surface on any gradient. UV Solar Weathering tested under International Organization for Standardization guidelines- ISO 4892-2:2013 certificate, 3,000 hours. Ideal for areas with limited natural light, no access to irrigation, limited depth of space and where there's no possibility of on going plant maintenance. 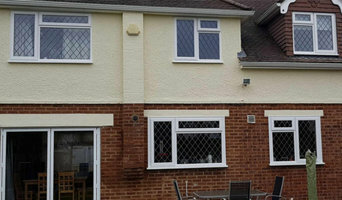 We are a small company offering external wall insulation services. The last 10 years of activity allowed us to offer to our clients very competitive prices and high quality work. Our professional attitude and project end results protects the walls from frost and dampness saving money on heating. The high qualifications of our team and the knowledge allows us to undertake the most complex projects. From the very beginning we have focused on developing, improving our skills and investing in the company. Therefore in a short period of time we have become a solid, professional and appreciated construction company. We are a fully independent company and ready for new experiences with high aspirations. Problems with blown render, tired or blistered external wall coating or damp problems? BrixSeal are professional applicators of exterior wall coatings in a range of colours and wall rendering for domestic and commercial properties across Surrey, Kent, London and the home counties. If you have a problem with rising damp, blown or cracked rendering BrixSeal is the company of choice. We have over 15 years’ experience and have many satisfied customers in the south east. BrixSeal is fully insured and all work is backed by a 15 Year guarantee. Glass Splashbacks UK are one of the leading suppliers of coloured glass splashbacks for kitchens, bathrooms and throughout your home. We have a thorough knowledge of the home improvement industry, with over 10 years of practical experience in kitchen and bathroom renovations. Our unique position in the kitchen splashback market enables us to provide our customers with a first rate service and excellent product. Unlike many other glass splashback suppliers we have taken a long hard look at the processes involved in measuring, ordering and fitting and have adopted a slightly different approach that enables us to offer a much more competitive price whilst still supplying a quality product. The end result is that many more of our customers can afford to get the beautiful finish they desire. All of our painted and printed glass splashbacks are manufactured from 6mm Low Iron glass and are thermal toughened, impact and heat resistant as standard. We also offer printed splashbacks using any high resolution image of your choice; mirror splashbacks, which are ideal for bathrooms and come in silver, grey and bronze and crackle glass, which is an awesome cracked ice effect, in a variety of stunning colours. Gutters4u specialise in the supply and installation of roll formed, seamless aluminium gutters, cast aluminium rainwater goods and profiled aluminium liners for concrete gutters and valleys. Centrally located near London. Meridian BP is a leading supplier of Hygienic Wall Cladding, Polycarbonate Sheets, Fascias, Soffits & UPVC Fascias.Meridian Building Plastics Ltd specialists in Polycarbonate Sheeting and PVCu Corrugated Roofing Materials. We are also major stockists of Guttering & Downpipes, PVCu Soilpipe and PVC Underground Drainage Systems, Kestrel PVCue Fascia, Soffit and Cladding as well as PVC Polystyrene and Acrylic Glazing Sheets. Caring about cleaning? Why you care when Md cleaning services is here.We provide cleaning service in London.We offers following services such as Domestic Cleaning, Office Cleaner, End of Tenancy, Carpet Cleaner, Commercial Cleaner at reasonable prices. All the task are perfomed by experienced workman.We provide best quality of work that's why we feel proud in our work. We are named experienced cleaning service providers in London.For more information visit their website.If you want to get in touch with us you can call us at 7425755513.We will be happy to serve you. If you are looking for assistance with blocked drains in Kent then make sure you contact CS Drainage today. We are a small, independent family business that serves customers throughout Kent and the Southeast. We are also contactable 24 hours a day 7 days a week for your added convenience. Please feel free to read on and find out more. Basildon Stone provides a specialist service for the cleaning of all Stone & Brick facades. Our expertise allows us to provide a complete and professional service throughout London and the surrounding counties. Over the years we have worked closely with English Heritage and Local Conservation Groups providing an expert service in the care and preservation of all masonry. The following time you are tempted to ask a person: Why can't I discover a task? You may wish to transform the concern back to yourself as well as ask: Why am I waiting on somebody in order to help me find a work? It's time to become an aggressive work applicant and also become less dependent on others to locate job. When planning a new build or an extension, exterior cladding systems should be one of the first things to think about, seeing as they will be a part of the exterior structure itself. Cladding contractors in Grange Hill, Essex will be able to advise you on what cladding systems you can use, based on any existing building work and whether the exterior cladding will hold up to the sort of weather you can expect. 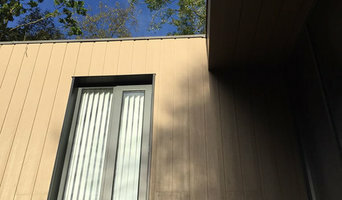 Before deciding on your exterior wall cladding, you’ll need to check with your local council that there are no planning restrictions that may apply to your area – some streets or areas have restrictions on how you can change the exterior of your home, especially if you live in a conservation area. 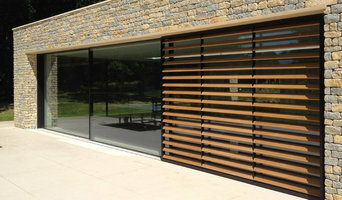 What types of cladding systems can Grange Hill, Essex cladding contractors install? Exterior wood cladding has become a favourite with modern new builds, and although it will require more maintenance than exterior uPVC or plastic cladding systems, the finished result can look sleek and attractive. Traditional brickwork masonry will be very durable and, with the help of an exterior cladding expert in Grange Hill, Essex you can find reclaimed bricks to match original brickwork or brick slips that are thin brick fronts to attach to the outside of an exterior wall to give the appearance of bricks. Rendering is one of the most versatile wall claddings as it can be painted any colour you like and can be smooth or textured. Generally, it’s best to talk to Grange Hill, Essex exterior cladding contractors, or an architect or builder, about your options. They’ll be able to make your cladding ideas come to life, or help you decide on your exterior design based on their recommendations. It may be that building contractors, architects and designers will offer cladding services themselves, or can recommend other professionals who do. With Houzz, you don’t need to worry as they’re all right here for you to compare. Here are some related professionals and vendors to complement the work of exterior cleaners: . Find exterior and cladding contractors on Houzz. Narrow your search in the Professionals section to a Grange Hill, Essex cladding and exterior contractor on Houzz. 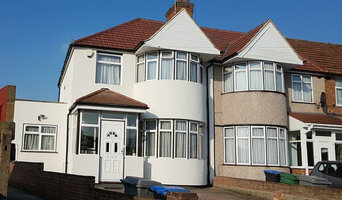 Find out how long Grange Hill, Essex exterior cladding contractors have been in business, view portfolios, read reviews and get contact information.